LinuxScrew: Linux Blog » Linux Howtos, Open Source News, Cisco Manuals and much more! » Fedora 8 (werewolf) is ready! Fedora 8 (werewolf) is ready! Fedora (previously named Fedora Core) is an RPM-based, general purpose Linux distribution, developed by the community-supported Fedora Project and sponsored by Red Hat. 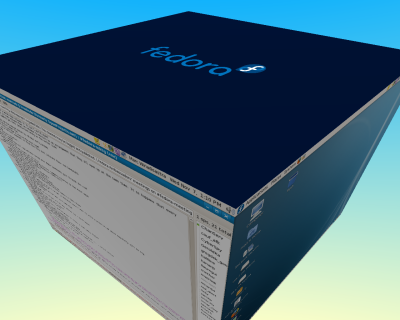 Fedora’s mission statement is: “Fedora is about the rapid progress of Free and Open Source software”. Today latest release of Fedora 8 that is called Werewolf is announced. 1. DVD images: i386, x86_64 (torrents), i386, x86_64 (via HTTP). 2. Gnome CD images: i386, x86_64 (torrents), i386, x86_64 (via HTTP). 3. KDE CD images: i386, x86_64 (torrents), i386, x86_64 (HTTP). 1. Spins are variations of Fedora built from a specific set of software packages. Each spin has a combination of software to meet the requirements of a specific kind of end user. The applications the targeted end users need are pre-installed and configured, saving them time and manual effort. 2. PulseAudio is a sound daemon that brings ear candy to Fedora users. LennartPoettering, PulseAudio upstream maintainer and Fedora developer, has made a number of improvements to this software recently, and Fedora is the first distribution to enable it by default. 3. CodecBuddy, also known as codeina, guides users to better quality open formats when they attempt to play multimedia content that is in a proprietary or patent encumbered format. It also explains why we don’t support these formats in Fedora by default, and can help install appropriate plugins at the user’s request. 4. Fedora has a new default theme, created specifically for this release, called Nodoka. Nodoka’s goal is to create a complete and original theme for Fedora consistent throughout the entire desktop while remaining subtle and calming. 5. New Graphical Firewall Configuration Tool makes it simple for anybody to tweak and administer the firewall settings on their system. 6. Enhanced Printer Management. Now when a new printer is added to the system, Fedora automatically enables a driver and creates a print queue for it. If there is not an exact driver match for the model of printer attached, Fedora falls back on a close model, a generic driver, or in the very worst case a generic text-only driver. All the way through this automated process, the user is kept informed through notifications. 7. Seamless Bluetooth integration. 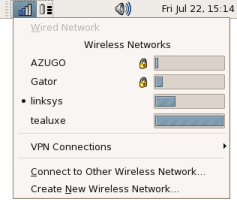 Building on the framework from the BlueZ community, the Fedora team has been working on the graphical front-end integration, such as gnokii and gnome-phone-manager. 9. Better Laptop Support. Fedora 8 features much improved support for laptop users, including enhanced power management, better support for suspend/resume, and multimedia keys via integration of more quirks. 10. Compiz and Compiz-Fusion (enabled by default). I'm speechless. This is a superb blog and very engaging too. Nice work! That's not in reality so much coming from an novice writer like me, nevertheless it's all I may say after diving into your posts. Great grammar and vocabulary. Now not like other blogs. You truly recognize what you?re speaking about too. So much that you just made me wish to explore more. Your blog has turn into a stepping stone for me, my friend.